I’ve been eagerly awaiting the build of this development for a while now and since it’s in my hometown and coming soon I’m excited to cover it. This place is central to everything in the city, as well one of my favorite coffee shops 2% Jazz and the Victoria Public Market which is all located in the Hudson District. This area is rapidly changing and its vibrant community is being built large in part to this Hudson District developments. I’m really excited about this build not only for its luxury finishes, but it’s going to have incredible views from every single window. 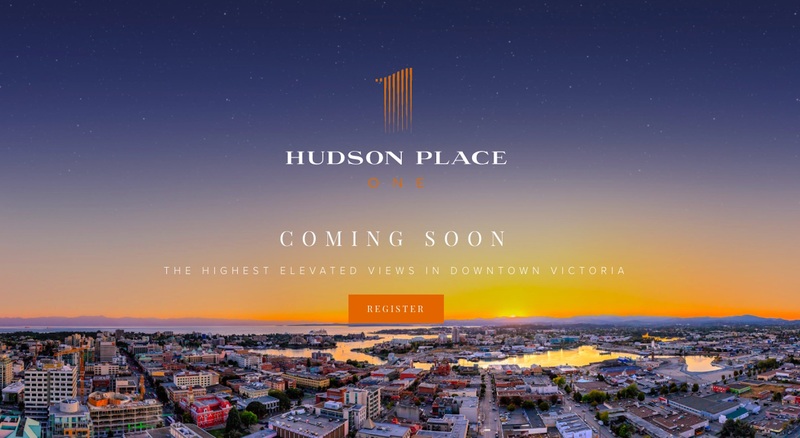 Hudson Place One boasts the highest, elevated views of the city, inner harbour and surrounding mountains. I’m not kidding about those views either, we’re talking million dollar sunsets here. While we don’t have a while lot of details at the moment it looks like there will be more than a few incredible units I’d love to see inside of when finished. We do however know that there will be just over 11,000 square feet of indoor and outdoor amenities. For those interested in perhaps being apart of this community and Hudson Place One you can register online here to learn more. If anyone in the future reads this and wants to invite me over I promise to bring some great beer and donuts from Yonni’s down the street.